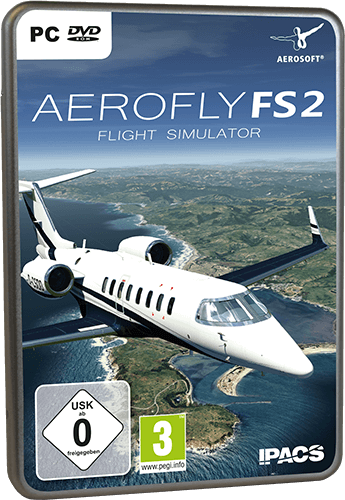 Explore the skies with Aerofly FS 2, an advanced flight simulator for Microsoft Windows, Apple iOS and Google Android. Aerofly features one of the best 3D graphics available. The sophisticated flight dynamics model gives you a stunning level of realism. Take the controls of aircraft such as the Boeing 747 jumbo jet, Cessna 172, Airbus A320 and others - an airplane for any situation. Select your starting location, set the time and weather. Take off from one of more than 300 airports in California, Nevada, Arizona and Utah. Explore a world of aviation beauty that has entranced many of plane fans from across the globe. Full VR Support for Oculus and Vive. Important installation informationPlease unpack all data from the 2 download files (PART 1.zip to PART 2.zip) into ONE directory and start the "aerofly_fs_2_dlc_usa_colorado_setup.exe". This Texture Pack for Aerofly FS 2 adds more high resolution aerial images around airports for California, Nevada and Arizona. Please unpack all data from the 8 download files (PART 1.zip to PART 8.zip) into ONE directory and start the "aerofly_fs_2_dlc_texture_pack_usa_south_west_setup.exe".